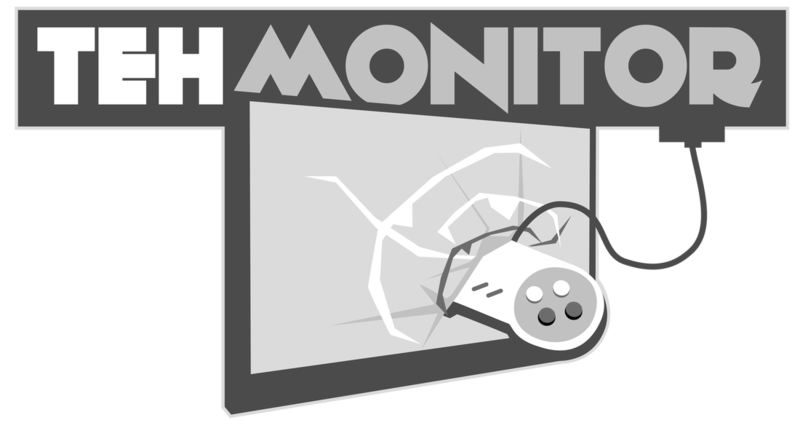 TehMonitor is a live video game show featuring the game stylings of broadcasters Link584 and Foisko. We do our best to provide entertaining gameplay and commentary in our shows, and welcome every viewer as a member of the TehMonitor family. We do everything live ranging from casual playing of the best and worst games this planet has to offer, world record attempts, and just plain old silly fun. We do it all on our channel, and you never know what to expect next. As we grow we do giveaway events, marathons for charity, and shout outs for our best fans. We want everyone to have a good time, and having fun is what we do best! The History of our show hasn't always been called TehMonitor. It started off with Link584, who discovered a site called Justin.tv and came across a man named Swiftor. He did live shows and eventually joined Swiftor's forums as well. There he met DustXDevil and was very supportive and welcoming to the community. Between these two inspirations he started up is own live channel after saving up to buy the proper equipment. With only minimal hardware and tools, he was able to achieve his goal of 100 fans, and eventually shared his broadcasting energy to Foisko. With Foisko now on the team, it was only a little while after 250 fans we decided a name for the show was needed. Foisko came up with the idea of calling it TehMonitor, and it stuck. The show officially became a real idea, and has grown much larger. Link584 and Foisko do every show together and have a dedicated group of fans who love the entertaining duo. Once in a blue moon we had a special guest, Shadowmn214 join, who even helped in our first 36 hour charity marathon and brought his cousin along. Having our first guest marked another turning point for the duo, and so the website was born! In The Future we hope to have more guests, from all over the world. The studio where we are located is currently in Maine, and we hope to eventually relocate. We also would love to meet with our fans, and with events such as Youtube gatherings or conventions, maybe this can be a possibility. Until then, we love talking with our viewers live, and appreciate the comments on our saved videos posted online. If you're a fan of us, thank you for watching, if this is your first time here, welcome to TehMonitor! TehMonitor has expanded to not only a live show, but a full website of articles, reviews, podcasts, contests, and much much more! As this grows, the future of Teh Monitor will change, but still keep it's core elements in mind when creating new and exciting content. We will no longer be known for just our live show, and hope to be recognized for our Youtube channel and our written material on the site. Our goal is to have the website be a central hub for everything we do by the new year of 2012. This has been in the works for several months now, preparing for the launch of many new ideas such as the podcast being released. TehMonitor has expanded even more since last year. We have completed season 1 of Teh Podcast, launched several new Lets Plays, created some VYou videos for a more personal connection, and are currently working on new gaming content that is not Lets Plays. YouTube has become a staple for us to organize and create out content. From our dedication to creating the content listed above, and our passion to grow with you our fans and friends, we got partnered with an amazing network called TGN. They have accepted us into the network with welcome arms. In fact, it was the CEO George Vanous that directly partnered us after we met him at Vidcon 2012. With our hard work and dedication, we now have hundreds of videos you can watch whenever you like. Sadly, the liveshow that we once used to do has not happened even once this year. This should hopefully return in 2013, but we now have a firm basic schedule and structure for all of the content that we create. You can always expect regular programming, from Podcasts to Lets Plays just by checking out calender page for more details. We are constantly evolving, but the bottom line is... in 2012 we have created more content then ever before, and we always are happy to respond to every single comment that you leave on our videos. Yes, we do respond to EVERY comment we receive. You the viewers allow us to do what we do in our free time, and make it rewarding, so the least we can do is respond and thank you for hanging out with us. :) We hope you will enjoy our new content coming in 2013. Following tradition of expansion, the year 2013 followed in 2012's footsteps to bring even more content online. After a full year of being partnered with TGN, meeting the new CEO Awall, and being inspired more then ever to do more our subscriber count doubled and our view count quadrupled. Now in 2014 we are proud to say that we have launched two new shows including Tasty Games, and the Mario Video Quiz, as well as really beginning the first official season of The Video Game Collectible Show (so make that three shows). With many new exciting Lets Plays on the way we have decided to make them more unique and add "gimmicks" to them in the future, starting with Kirby Super Star & Zelda: Skyward Sword. We are also on our third season of Teh Podcast, and early in 2013 we launched another show called VG Tales, bringing our total count now to 7 if you count Lets Plays as a whole as a show. We unfortunately have still not revived the liveshows, and VYou went out of business, but with such an abundance of content and more always in the works it seems that we never slow down! Believe it or not but ideas are already in the works for 2015, and also some surprises along the way. PS - We have a tendency to add "Teh" to everything we do. Teh Podcast, Teh Liveshow, Teh Review Circle, etc. It's our gimmick.